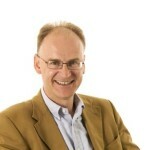 Matt Ridley is a journalist and Conservative Party peer who is a member of the All Party Parliamentary Humanist Group. He is also a patron of Conservative Humanists. This blog is part of a series of perspectives on the EU referendum from prominent humanists on either side of the debate. Each puts forward a humanist case for the United Kingdom either remaining a member of, or leaving, the European Union. All six perspectives are linked in the image below. My biggest reason for voting leave this month is the European Union’s democratic deficit and bureaucratic surplus, which makes it an ill-suited organization for bringing prosperity and peace in the evolving and emergent global world we increasingly inhabit. It’s too top-down in philosophy, and too parochial in mindset. My euro-scepticism is dead in line with my religious skepticism, though you certainly don’t have to be an unbeliever to vote leave: I don’t like being told what to do by a priestly class. There is a certain similarity between the way fans of the European Union talk about Brussels and the way believers talk about the Almighty. Benevolent, omniscient, and remote, the European Commission sees far into our hearts and knows exactly when we need to be told through a directive not to buy something, not to make something, not to build something. It’s currently trying to tell us not to vape, for instance, at the behest of the pharmaceutical industry which has a nice little earner in prescription nicotine replacement, even though it is now clear that vaping is massive life-saver. The entire basis of the EU is that leaders know best. It was set up by people horrified by what demagogues had done in the twentieth century, and were determined to put technocrats in charge instead, and insulate them from the democratic winds. It’s a stretch to call this religious, but the parallels with the papacy in its pomp are all too clear. In Britain we nurtured a very different tradition, broke with Rome, killed a king who thought he had a divine right to rule and gradually absorbed the message of the enlightenment that the world is not run by great men, let alone deities, but is changed by ordinary people through trade, innovation, habit, and fashion. More than any other European country we resisted the urge to worship a leader and lend him (never her) the power to tell us what to do. It is in that tradition that the current movement to leave the European Union should be seen. We do not like the imposition of a single currency, with the acute pain it has caused to many people, just as a way of forging a united polity. We do not like the fact that more than half our laws originate in the European commission and are justiciable by the European court, neither of whom is answerable to the people. We do not trust priesthoods and never have. In the 1950s, when central planning was in its heyday, when we in Britain also still lived under a thicket of rules about what we could eat, buy or do, it was no surprise that the fore-runner of the EU began as a centralized, top-down, dirigiste bureaucracy. That was the way of the future then, before the collapse of living standards in Russia, China, and more recently Venezuela shows just where central planning’s faults lay. In the 1970s, it just about made sense for Britain to join this regional bloc, which was at least partly dominated by the highly liberalized and free-market German philosophy of Werner Ehrhard. But now, in an era of cheap container shipping, free Skype intercontinental phone calls, budget airlines, rock-bottom World Trade Organisation standards, and global trading rules negotiated industry by industry at the global level, the regional focus of the European Union is an irrelevance and an anachronism. It perpetually tries to dictate rules for consumers and citizens within one continent, ignoring the wider world where we all trade. The parallel with Humanism is pretty obvious. Humanism means suspicion of superstition, but is also means respect for human beings’ wishes. People have voted for a digital world with great enthusiasm over the past few decades by buying digital products, joining digital networks and embracing egalitarian values. Into this world lumbers a bunch of highly paid, lowly taxed, richly fed Eurocrats, who never saw this coming, saying things like “we must have a minimum of boring French films on Netflix” or we insist that hyperlinks respect intellectual property, or whatever the latest wheeze big companies have breathed into their ears over a four-course meal in Brussels. In the sixteenth century, admittedly for carnal reasons, the English got a chance to tell a wealthy and parasitic priestly class, answerable to nobody and with a top-down view of the world, to get stuffed. We have the same chance again today.